The KFG's Senior Research Fellow Rinku Lamba will present a public talk on "Conceptions of Religion in India: An Analysis of the Discourses of Bhakti and Modern Indian Political Thought" on 14 November 2016 at the South Asia Institute (SAI), Heidelberg University. The talk will take place from 4-6 p.m. at the SAI, Room 316. 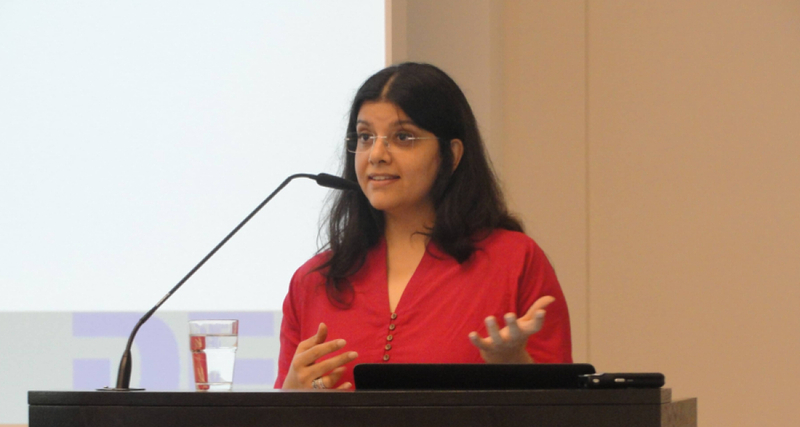 In the presented paper she wants to analyse the conceptions of religion that have obtained on the subcontinent in two distinctive discourses – one related to Bhakti and the other to a key strand of modern Indian political thought as expressed in the writings of M. K. Gandhi, R. Tagore and B. R. Ambedkar. The aim of the discussion is to reflect upon the divergences and convergences between the two discourses with a view to considering appropriate modes for public-political engagement in societies marked by deep diversity.